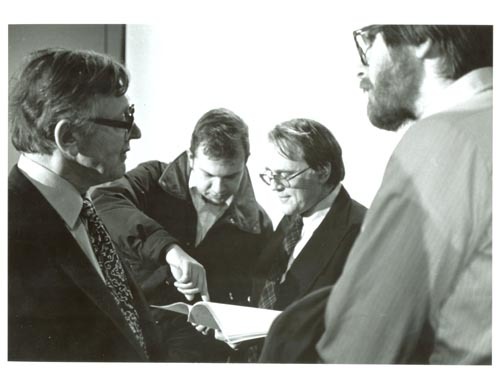 B&W image of John Wilkinson with Gordon Bell and two other men at the Wilkinson Lecture. Gordon is holding a manual with one of the men pointing to it. This was the Fifth Pioneer Lecture on April 14, 1981 at the museum and was titled The Pilot Ace.